Bring an extra touch of eye-catching style to your living room or dining room with this tabletop display case. 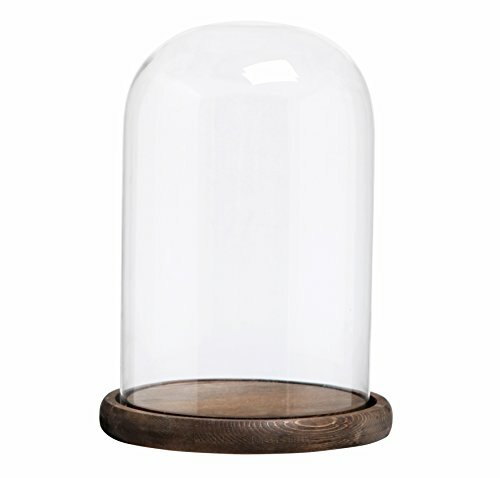 The clear glass dome that forms the cover on this display stand provides an unobstructed view of whatever objects you choose to showcase within, while the round wooden base provides an excellent space on which to arrange those objects however you wish. Whether you use it to display artificial plants, figurines, cherished keepsakes, or other items, this decorative case makes a beautiful addition to any room in your home. **Official MyGift product. 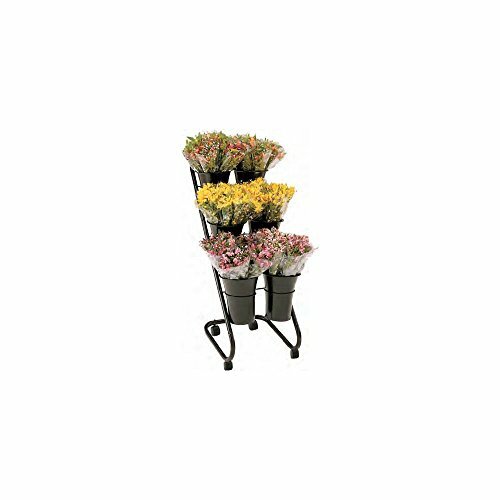 **Approximate Dimensions (in inches): Overall 9.75 H X 7 D; Interior - 8 H X 5.25 D.
Our Mobile Merchandisers FC1640 59 inch H floral cart with Sign frame & vases is packaged with 6 vases. 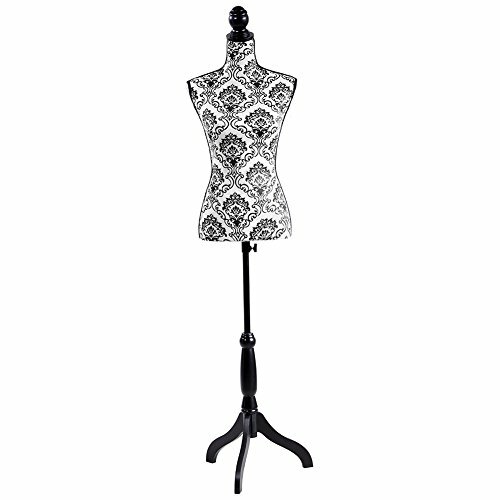 It is constructed with tube steel and easy assembly without tools. This display stands 59 inches high by 16 inches wide. Overall dimensions: 16 inch W x 59 inch H x 20 inch D FC1640 #: FC1640. 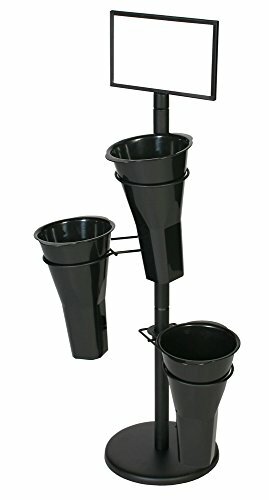 Floral Merchandising Systems FMS Bouquet Bucket Display, 28-1/2" x 17" x 43"
Floral Merchandising Systems FMS Bouquet Bucket Display, 28-1/2"
Bring organization and modern design to your patio, living room, or garden with this 3 tier display stand. 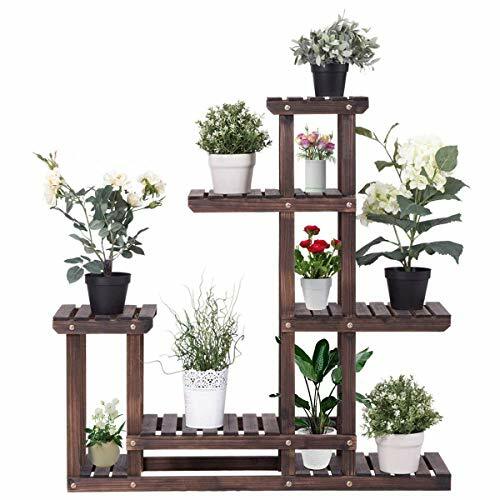 Made of sturdy and durable metal with a sleek black finish, this 3 tier display rack complements any home decor and provides the perfect to display decorative items like live potted plants, vacation souvenirs, picture frames, and more. 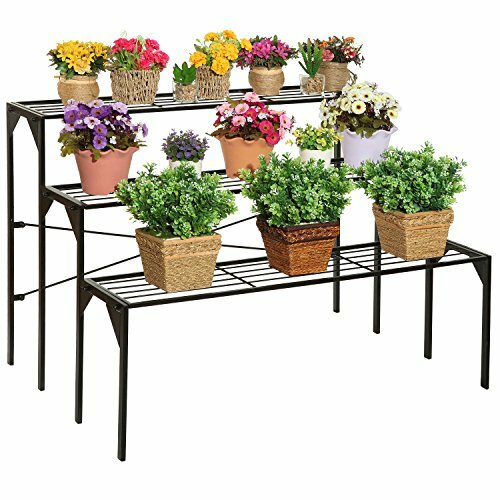 When you're ready to bring organization and style to your indoor or outdoor space, this metal display shelf rack will help you do just that. **Official MyGift product. 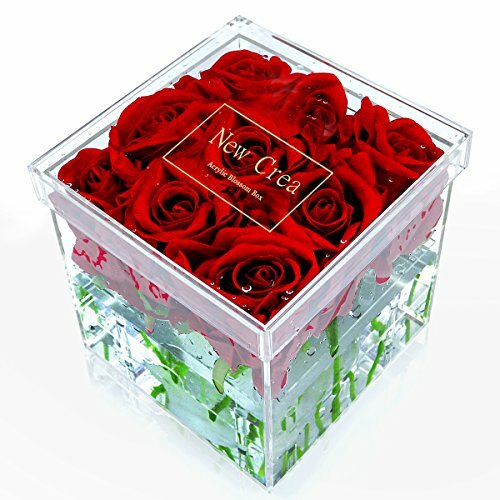 ** Approximate Dimensions (in inches): 37.50 W X 26.25 H X 26 D.
PRODUCT DETAILS of acrylic luxury flower display box: 1. Material: Acrylic Plastic2. Size: 5.9 X 5.9 X 5.9 Inch (15 X 15 X 15 cm) 3.Type: 9 Flowers PRODUCT FEATURES: 1. 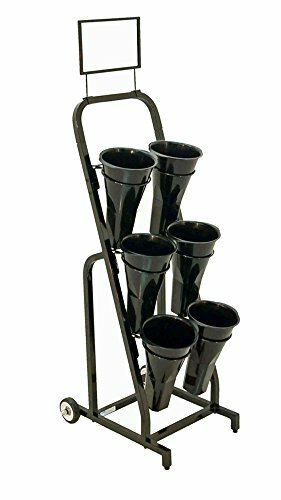 It is a perfect gift to use in your home,office or any party. 2. 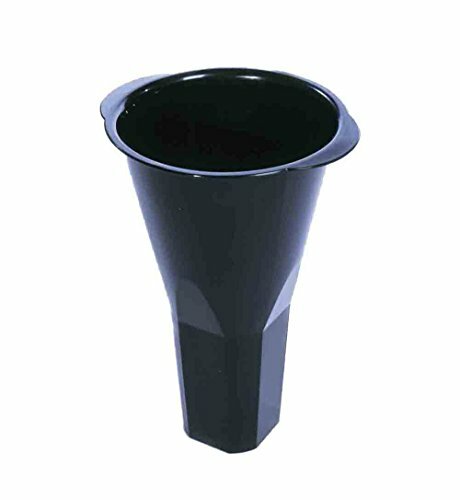 It can holder water to grow real flowers, or you can put fake flowers in the box as a decoration. 3.It can used as a makeup organizer,the two panels in the box is removable, so you can take it out to store your cosmetic. 4. This flower box is ideal for use in your bathroom or vanity and won't clash with the decor of your home or office and makes a beautiful display in any room in your home or office. 5.The clear flower box is made from durable, shatter-resistant acrylic and is incredibly easy to clean with cloth and water. CARE INSTRUCTIONS: Although rare, tiny hairline cracks and little air bubbles may develop during the fabrication process.These are beyond control and are not considered defects. Please note that the flowers inside storage container and any decoration products shown are not included and are for demonstration purposes only. 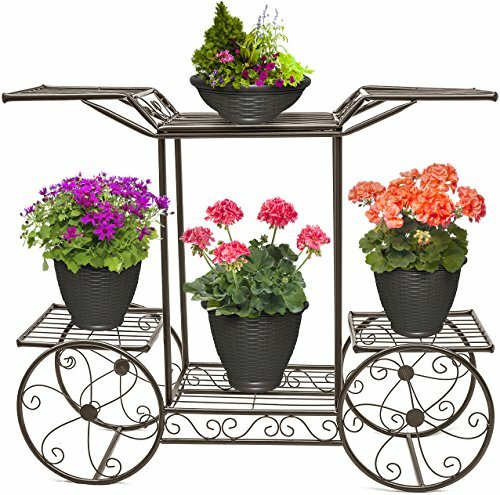 Compare prices on Flower Display at LiveSaler.com – use promo codes and coupons for best offers and deals. We work hard to get you amazing deals and collect all avail hot offers online and represent it in one place for the customers. Now our visitors can leverage benefits of big brands and heavy discounts available for that day and for famous brands. We try to makes comparison shopping easy with Product Reviews, Merchant Ratings, Deal Alerts & Coupons. Find Deals, Compare Prices, Read Reviews & Save Money.